The only indicator that this space belonged to the Nickelodeon president is in the form of a bright green bench, very similar to the color of the “slime” specific to the children’s network, situated in the kitchen. 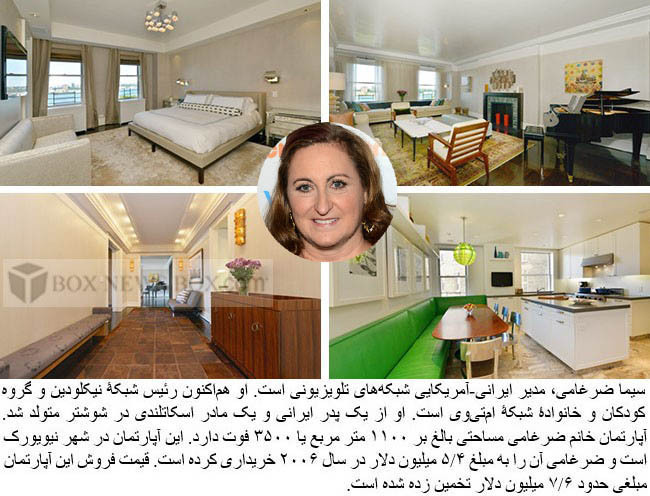 The rest of the Zarghami-Obergfoll apartment is well appointed as shown in the listing pictures. Zarghami and Obergfoll purchased the apartment for $5.4 million back in 2006.